Full day Istanbul city tour with lunch and entrance fee included. Istanbul is located over two continents, Europe and Asia. In the world's only city situated on two continents. 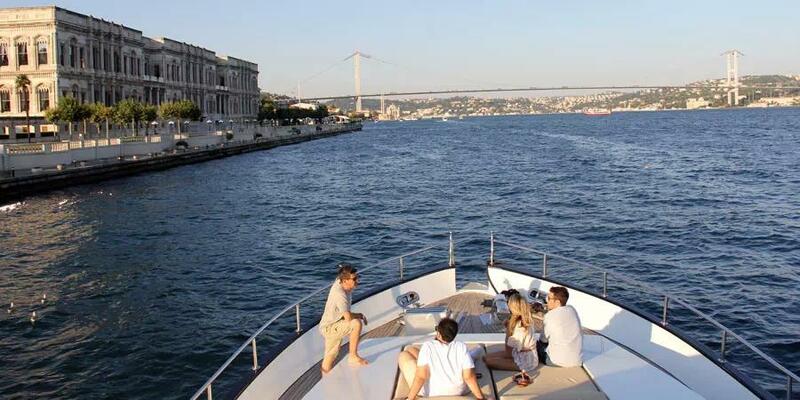 With full day Istanbul city tour you will able to see historical places of Europe and Asia. 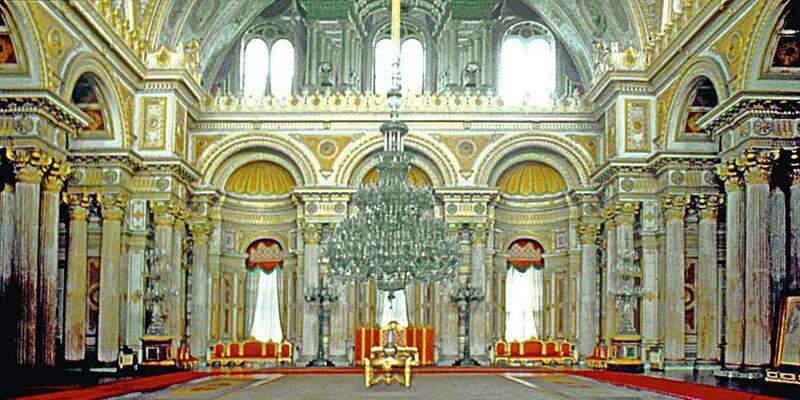 Also visit Dolmabahce Palace, the last residence of Ottoman Emperors. 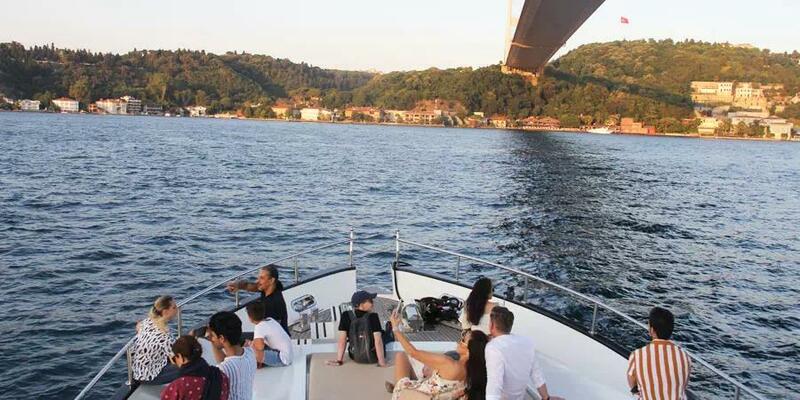 Drift by Istanbul's sight crammed European and Asian shores on a Istanbul Bosphorus Cruise and asborb panaromic views of sides of the city from Istanbul Bosphorus Bridge. Dolmabahce is the richest palace of whole Ottoman period. Located between Besiktaş and Kabatas, there a number of other sights in the area worth seeing, such as the neo-baroque Dolmabahçe Camii (Dolmabahce Mosque), the Dolmabahce Clock Tower, the Palace Collections Museum. The Bosphorus Bridge is one of two bridges that spans the Bosphorus Strait, connecting the European and Asian sides of Istanbul. It stretches from Ortakoy on the European side to Beylerbeyi on the Asian side and is sometimes referred to as the First Bosphorus Bridge. Every city has one spot that can view the beautiful scenery of the town. 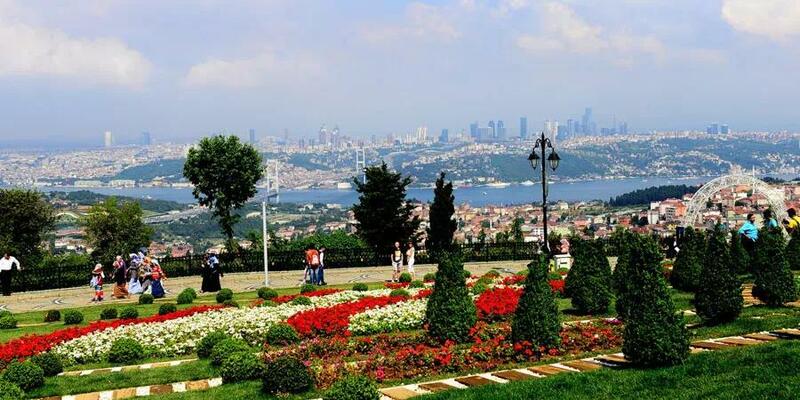 Camlica Hill is the hotspot of the Istanbul offers visitor to take wide picture of this splendid city divided by bosphorus (Europe and Asia). The famous cafe entitled with the name of Pierre Loti, a famous French writer, is reached on getting to this ridge on which the perfect view of Golden Horn can be watched. The historical cafe is the most ideal place to watch this mentioned view. The Walls of Constantinople are a series of stone walls that have surrounded and protected the city of Constantinople (today Istanbul in Turkey) since its founding as the capital of the Eastern Roman Empire by Constantine the Great. Shopping Opportunity is available before having lunch on the boat. The Fortress of Rumeli Hisarı, located on the European shore of the Bosphorus and in the northernmost district of Istanbul, is a striking monument. Is a fishing village on the Asian side. You’ll also have time to stroll around and enjoy the villages famous ice-cream and waffle. Sample menu : Seasonal Appetizers & Salad, Main Course like Meatball or Chicken, Rice, Pasta and Vegaterian stews. Dolmabahce Palace is closed on Monday and Thursday It will be replaced by a visit to Chore Museum (Church) on those day.